Thanks to jQuery, web designs can be crafted in a quick and hassle-free manner. In fact, jQuery has become the standard for displaying media elements on websites as well as web apps. For instance, you can jQuery image sliders are most commonly used on websites. To help you out we've rounded up best jQuery image slider plugin that helps to create visually appealing image sliders for web applications. WOW Slider is a great image slider plugin for non-programmers that looks and work exquisitely on all modern browsers and mobile devices. It offers a huge collection of beautiful skins and stunning effects, using which you can customize your image slider look to “wow” your audience. 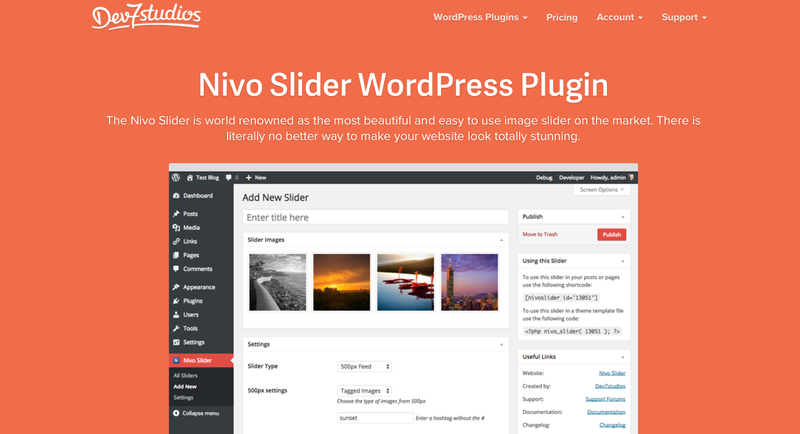 With over 3,019,688 downloads and still counting, Nivo Slider is certainly a worthy option for creating an image slider for your web app or website. It's free to download, and helps to add beautiful transition effects to your image slider. Other than that, it's responsive and makes it super-duper easy to manage multiple image sliders on your site or application. Minimus Slider (also know as Mini muslider) is a compact jQuery slider. It is responsive, and re-size your image slider according to the browser it is being viewed on. Moreover, this jQuery plugin can contain anything including HTML5 audio and videos, iframes, etc., but it is ideal to be used for images. The Liquid Slider is a fully-responsive, html5 content jQuery slider. This means that it works flawlessly not only on desktop but also on your mobile device screen. It comes loaded with exemplary features like swipe navigation, CSS3 transitions, dynamic navigation and more. It is a responsive content slider that comes with a gallery mode that allow users to create an image slideshow along with thumbnails. It enable users to add slide and fade effect. This jQuery plugin makes your site image slider accessible on major browsers like Firefox, Chrome, IE7+ etc. and on mobile platforms like IOS, Android and windows phone. It's an ultra-lightweight mobile touch-slider that is designed to provide excellent image slider with hardware accelerated transitions. It's perfect to be used in mobile sites, web apps and native apps. Though, it's mainly designed mainly for iOS, but it works well on Android and Windows Phone 8 platforms as well. 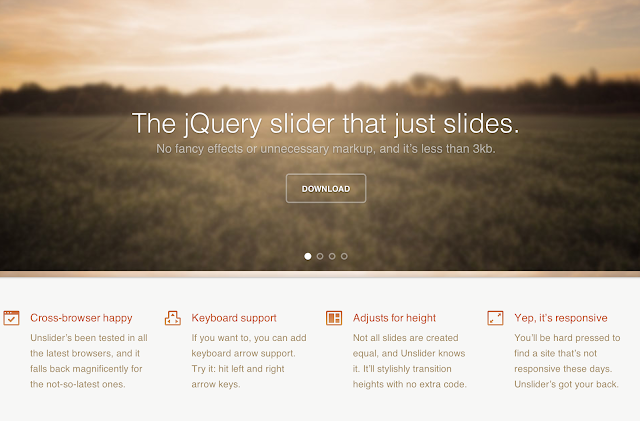 This jQuery slider plugin comes with WordPress support. It not only presents images, but can also be used to display videos – both present on your local host or taken from external sources like YouTube, Vimeo, Instagram Images etc. It's responsive and works flawlessly on small screen devices. It is a simple jQuery slider that only slides, and does not include any breath-taking effects or irrelevant markup. It’s flexible and responsive. Unslider has been tested in all the latest browsers, and falls back to make it cross-browser compatible. It's pretty easy to use and customizes the image slider. This free responsive slider plugin works based on the up-to-date jQuery functions, CSS3 tricks and HTML5 elements. In addition, it offers several settings along with CSS and Sass, empowering users to make Slippry look tailored as per your needs. If you're looking for a jQuery image slider plugin that comes packed with numerous transition effects, paginations and callbacks? Then, SlideMe is a good choice for you. It's responsive and installs easily without much hassle. 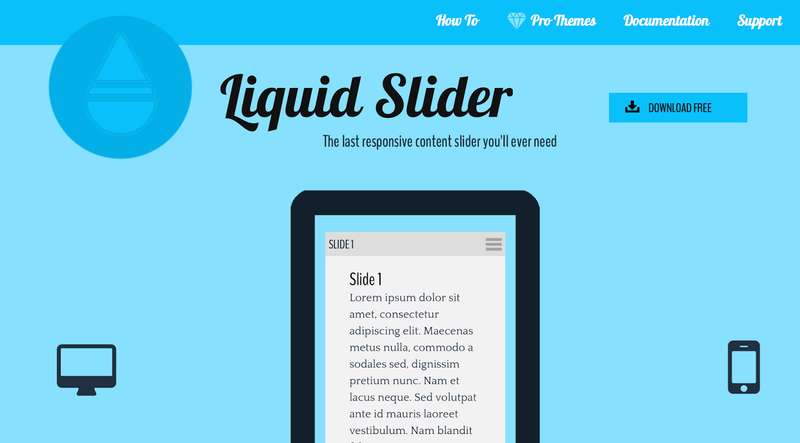 This responsive jQuery slider helps to create simple content sliders. Apart from displaying images, this plugin slider contain video or HTML content. It enable you to set slider in different modes like horizontal, vertical, and other modes. BxSlider is quite easy to use, and requires following a simple 3-step installation. It's a flexible slider perfect to be used for mobile browsers and touch-compatible devices. It contains almost all the features that other image sliders provide. It is an ideal choice when it comes to handling responsive viewports. Sequence.js plugin slider uses only HTML and CSS to enable users to create their own responsive slider with styles they deem perfect. It provide support for all modern browsers and even supports old IE versions using a traditional fallback theme. It is a fully responsive jQuery Slider that supports all major browsers. FlexSlider2 help create image slider with horizontal/vertical slide movements and that features fade animation effects. Moreover, it provides multiple slider support, touch swipe support and more. This jQuery plugin allows you to create a slider with fade or slide transition. It supports all browsers and provides the possibility to showcase multiple sliders on the same web page. This responsive slider plugin helps to create sliders with content including images, text, html5 video etc. It’s simple to use and can be configured easily. μslider offers support for swipe touch for mobile devices. Royal slider plugin shows HTML content in the form of images, videos, and other elements inside a slider interface. It's fully-responsive and comes with tons of customization options including 50+ options, 4 skins (Along with PSDs), 9 pre-built templates and lot more. Want a jQuery image slider plugin that's not only responsive, but is touch-friendly as well? Well, then Glide.js is the best fit for you. It features remarkably efficient CSS3 transitions. What's more? it's lightweight, simple to use and loads the image slider quickly. 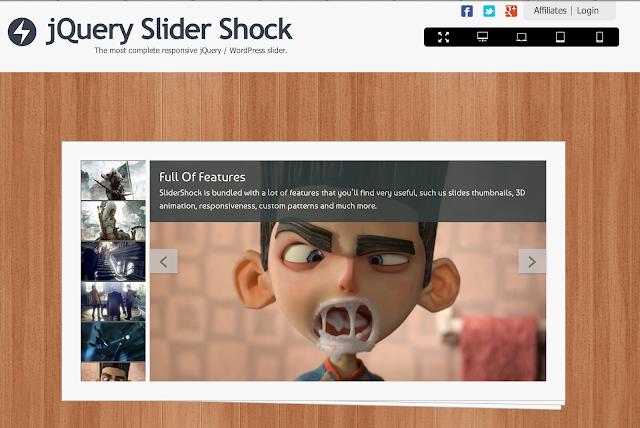 Last in the list is FerroSlider2, a free and responsive jQuery sliding plugin that uses HTML5 and CSS3. It helps create a slider with content such as images and HTML. It's customizable and support iPhone and Android devices. 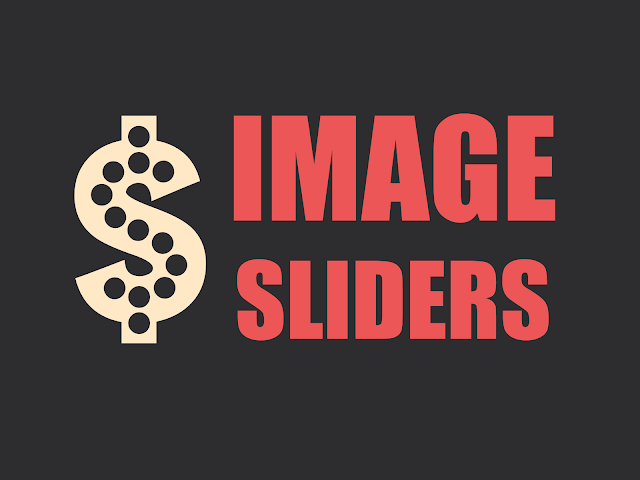 Hopefully, reading this post will help you explore some of the best jQuery image slider plugins – that helps create innovative image sliders for web apps. Maria Mincey is a prolific writer, who brings to the table a quantum of knowledge around Web Development Services. She works for Xicom Technologies Ltd, a Software Development Company which delivers most comprehensive web applications and solutions for different industry verticals.